After spending all last week talking about personality profiling, why not another tangent? A couple friends of mine have encouraged me to share this story. This is a real life parable of the power of reputation and how it can benefit both parties in a transaction. My 14-month old Sears refrigerator crapped out last month, just two months out of warranty. Sears sent a repairman but refused to cut me any slack on the warranty. After the repairman off-handedly mentioned that my fridge was surely defective straight out of the factory, I called Sears again and they offered $60 to cover the $187 repair bill. That still seemed pretty lousy, so I wrote a letter to the CEO of Sears, Alan Lacy. A few days later I got a very encouraging phone call from Dana, who manages customer complaints addressed to Mr. Lacy and other Sears executives. She told me her game plan to argue my case to my local store manager, and explained that she could go to his boss, the regional manager, if necessary. She suggested that Sears should replace my fridge, which I said was perhaps more trouble than it was worth, given that the repairs had already been done. The second time Dana called to tell me I was in fact getting a new fridge for free (in addition to full reimbursement for the repair work), I wised up and didn't try to talk her out of it. I don't know how she managed to turn around the local store's original position, but she has more than restored my faith in Sears customer service. Thanks, Dana! PS -- Oh, yeah. The reason I share this story is all about reputation. Unfortunately for Sears, most people with working Sears appliances probably don't run around singing alleluias to Sears. So the task of building a good reputation can be slow. But someone with a really bad experience will be only too happy to spread the word. So recognizing potential "bad stories" and converting them to "good stories" is key. And that's just what Dana did so capably for Sears. PPS -- You can read my letter in the first comment below this post. I thought my previous post would be my finale on personality profiling, until I got chatting yesterday with my friend and colleague Todd Harris. Todd is Director of Research at PI Worldwide, a leading firm in the field of personality profiling. I have been very fortunate to work with Todd as part of an organizational development consulting team helping a local nonprofit. Todd has read "The Cult of Personality" (which I discussed in my previous post) and finds it very biased. I was curious to hear more and so I asked Todd about the relationship between personality and behavior. He shared a few insights with me, based on his career in studying that relationship. Todd mentioned that in the 60s and 70s there was a quite a debate over whether personality was something that could be measured at all. The "yea"s carried the day and there is not much debate over that question anymore. As to the relationship between personality and behavior, Todd agreed that this depends on context. He explained that there are "strong" contexts and "weak" contexts in this regard. A burning building would be "strong" -- producing a similar running-out-the-door response from just about every inhabitant you could imagine. Other situations are "weak" and leave much more room for the influence of personality. Personality is unique among behavior-influencing traits in being non-discriminatory. In other words, cognitive skill tests are biased with respect to other traits like age, gender, and race; whereas personality tests show very little bias on these traits. So in addition to the strong influence of personality, there are legal reasons for employers to use it as well. Finally, Todd emphasized that personality tests are just part of the puzzle that managers try to solve. They can be abused, but when used correctly these tests provide very helpful information. Personality tests are a bit tangential for my blog, but I'm starting to wonder if the coincidental publications on this topic are evidence of some kind of journalistic tipping point. Last week I noted the well-timed publication of Malcolm Gladwell's New Yorker article, "Personality Plus: Employers love personality tests. But what do they really reveal?" (not available online, sorry). In today's Wall Street Journal, Eric Felten reviews a new book by Annie Murphy Paul, The Cult of Personality. The argument is very similar to Gladwell's -- personality tests reveal more about their creators than they do about those who take them. So why do so many administrators put so much stock in them when managing employees or students? I haven't read Ms. Paul's book but she clearly takes a strong position on this topic. The full title of her book is "The Cult of Personality: How Personality Tests Are Leading Us to Miseducate Our Children, Mismanage Our Companies, and Misunderstand Ourselves." This reminds me of a brief but illuminating chat I had with a friend recently. We were discussing how people are attracted to fields like organizational development and conflict mediation as part of their own personal journey. She put it, "People who work in conflict mediation are generally bad at it." I think she means they start out bad at it, but then address that shortcoming, and in so doing develop both a useful personal skill and a marketable profession. Makes sense to me. I would then predict that many people have several layers of conflicting personality traits wrapped up in their professional pursuits. Can a personality test make sense of that and predict what behavior will emerge in the relevant context (new job, school, etc.)? I wish Ms. Paul's viral marketing campaign continued success! I had lunch today with my friend and colleague Peter Gloor. Peter is a leading figure in the study of Collaborative Knowledge Networks, and I can't say enough good things about him personally and professionally. Peter is working on a fascinating book, Social Patterns of Innovation (formerly COINS @ Tipping Point). In the book, Peter surveys great collaborative innovations of history and uses them to illustrate the fundamental principles of collaboration and innovation that are even more true today. You can read and comment on a draft of it now -- Peter aims to practice what he preaches in developing an effective tool to promote collaborative innovation. Despite (or perhaps because of) my credentials as a computer science PhD, I am a certifiable Luddite. So when I read Andrew Leonard's salon.com June '04 article "You Are Who You Know,"critiquing the pitfalls of social networking software, I felt encouraged in my own personal resistance to this technology. Now let the record show that I am making an earnest effort to use LinkedIn as part of my ongoing job search. Why the change of events? I keep hearing unsolicited recommendations from friends who found it useful. Or, as Duncan Watts would say, my personal network has finally overcome my internal threshold of resistance to adapting new behavior. A Brief LinkedIn Primer: Most of my readers probably know this, but the idea of LinkedIn and its ilk is to automate the networking process. Once I open my personal account on LinkedIn, I can invite my friends and colleagues to join my network. The power of LinkedIn is that by storing my network and my friends' networks (and their friends, etc.) it can guide my networking. For example, LinkedIn could help me navigate the shortest path of referrals from me to Kevin Bacon, assuming he were also a member. There are lots of social network software programs out there. Why am I focusing on LinkedIn? First, because it's the one my friends specifically mention over and over again. And second, because its professional focus matches my specific networking goals. For now I am just getting started. I wrote a profile that identifies my areas of expertise and goals. Then I started inviting friends and colleagues one by one, until I found that LinkedIn can import my entire Outlook address folder. That was nerve-wracking -- who's getting access to my address folder? -- but I forged ahead because of LinkedIn's good reputation. From there it is a snap to invite any of my current contacts to join my network, and I can easily see who is already a member of LinkedIn and therefore more likely to want to join networks. Next thing you know, this old dog's gonna get a cell phone. Recently I've heard from several of my regular sources about Wikipedia. This is a remarkable on-line encyclopedia in the form of a wiki -- meaning anyone can contribute new articles and even edit existing articles. I have poked around Wikipedia a bit myself. 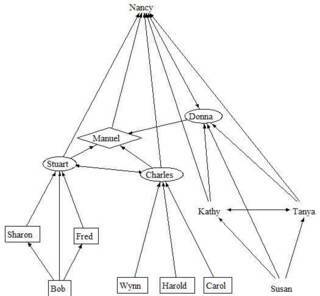 Here's an article on social network analysis. Here's a little article on computational sociology. Here's a more extensive article on operations research. And a very navigation-intensive presentation of organizational development. And here's a great article on Crushing by Elephant. Not surprisingly, some people question the authority of a collection of articles written and edited by anyone with an Internet connection. Even potential contributors and editors may hesistate, lacking official credentials. Well, folks, put your fears to rest. Wikipedia itself encourages potential contributors to be bold and fearless in their editing: don't hold back! And here is Wikipedia's explanation for why it works. Wikipedia made it onto my radar screen because of the interesting debate about authority and group behavior sparked by Wikipedia. This debate includes the report of someone who inserted thirteen factual errors into Wikipedia to see how long it would take for anyone to notice. All thirteen errors were repaired in under two hours. Yesterday I blogged on the complex relationship between personality and behavior -- specifically networking. Various sociologists have found that people can be capable networkers when their careers depend on it, no matter what their personality types. Today I grabbed my favorite magazine and there was an article by Malcolm Gladwell (of Tipping Point fame, well beloved by fans of social network analysis) about the very same (generalized) topic. Unfortunately, Gladwell's article is not online. So go find a copy of The New Yorker, September 20, 2004, and turn to page 42 to see "Personality Plus: Employers love personality tests. But what do they really reveal?" Along the way, Gladwell tells lots of enlightening anecdotes, including the history behind Myers-Briggs. That story just about demolished my faith in the objectivity of MBTI. Taking his article to its logical conclusion, Gladwell ends with an account of his experience in an "Assessment Center," where companies can subject candidate employees to an entire day acting out their potential new jobs. Gladwell tried a day as Terry Turner, head of the robotics division of Global Solutions. Though his communication skills were rated outstanding, his managerial skills were less so, and he didn't get the job. 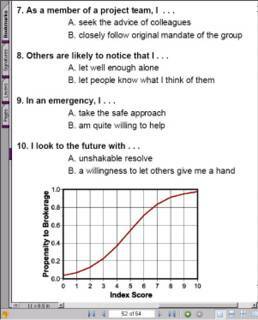 The Network Entrepreneur Personality Index evolved from a widely used questionnaire given to MBA students. 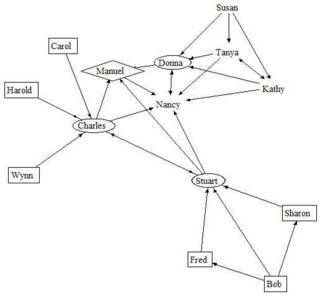 Burt and his colleagues extracted the ten questions from this career-advising tool that best distinguished students whose networks spanned structural holes from those with closed networks. But how does that apply to the rest of us? Burt asks. After all, MBA students are a pretty narrow population. It turns out that this personality profile does closely predict actual brokerage for people in technical and clerical jobs. BUT these are jobs where brokerage is NOT associated with better performance. In other words, these are jobs where people are free to network as they wish, without professional consequences. For white collar managers, brokerage IS highly correlated to performance. But here the predictive power of the personality profile disappears. It seems that anyone will network if her career depends on it, regardless of her "propensity to brokerage" as measured in this little quiz. Research to date suggests... that the link between one's position in a network and personality characteristics is tenuous. In combining many of our social network analyses with personality scales (such as Myers-Briggs, FIRO-B, and learning styles), we have found limited and inconsistent relationships between personality traits and network position....It seems that the even the most introverted among us can, and often do, have robust personal networks. Several of my friends over the years have been personality profile junkies, and so I've developed a taste for answering small lists of seemingly random questions, from which they deduce my deepest character traits. One of my favorite personality profiles ever is Belief-O-Matic, a computer program that I confess played an alarmingly significant role in my actually joining the religious institution that I've been attending for a few years. Today I found an new little personality quiz when I least expected it. I've been reading a couple chapters from a preprint of Ron Burt's forthcoming book, Brokerage and Closure, to be published by Oxford University Press in 2005. The first chapter is largely based on Burt's work at Raytheon, which I discussed a while ago. Right there in the first chapter of the book (but not in the earlier paper) is a mini personality profile, which I have clipped and included in this post. "Select the phrase under each item that better describes you (A or B). Select one phrase per item. If you disagree with both phrases, select the one with which you disagree less. It is important to select phrases that describe how you actually operate, rather than how you feel you should or would like to operate. There are no right or wrong answers. When you are finished, you should have a total of ten phrases circled. To score your reponses, [read the comment that I have added to this post] and compare your score to the graph below [which will translate your raw score to your "Propensity to Brokerage" on a scale from 0.0 to 1.0]. One of the most visceral ways I experience networks these days (more so than in my consulting practice or academic studies) is through my ongoing job hunt. Networking is a critical skill for job seekers. Something like three quarters of new hires come about because of a personal connection. Often the position filled is never advertised at all, but is created on the spot when the right two people connect. I have learned tons about the nitty-gritty of job-hunting and networking through a group called WIND, which stands for "Wednesday is Networking Day." For a nominal fee, you can attend any of several weekly meetings (including days other than Wednesday) and boost your own networking through "guerilla group" discussions and "needs and leads" announcements. Each meeting ends with an hour presentation by a professional in the field of career development, often on some topic closely related to networking. Most helpful of all the resources I've found through WIND is the "buddy group." Job hunting is tough and it helps to meet with a regular small group of people who are in the same boat. With most of my everyday friends, the "how's the job search" question started getting awkward a while ago, for one reason or another. When we ask or answer that question in the buddy group, we really mean it, both in the spirit of support and of accountability. One utterly fascinating subject I've unintentionally explored in job-hunting networking groups is the dynamic of eight (or so) mutual strangers sitting down for an hour of unfacilitated group discussion on a vaguely agreed upon topic. Perhaps I'll devote a future post to this. Suffice to say for now that these kinds of group discussions don't usually turn out pretty, except in their re-telling as humorous anecdotes. On a more academic note, Mark Granovetter's "The Strength of Weak Ties" is the indispensable social networking classic of job hunting. His point (first made in 1973) is that my close friends know many of the same people I do and so can't help my job search very much; but my acquaintances know mostly different people than I do and so can introduce me to opportunities I would never otherwise hear about. See also today's Wall Street Journal for an article on online networking as a powerful job-hunters tool (note: you need a subscription to read it). It includes tips on using services like LinkedIn: (1) Don't delay, these services won't be free much longer, (2) Network with friends first, (3) Get to the point, (4) Quality before quantity, (5) Do your research, (6) It is more blessed to give than receive, (7) Reach out and work the room, (8) Be patient, networking takes months, and (9) Get references from others to get your online profile noticed. 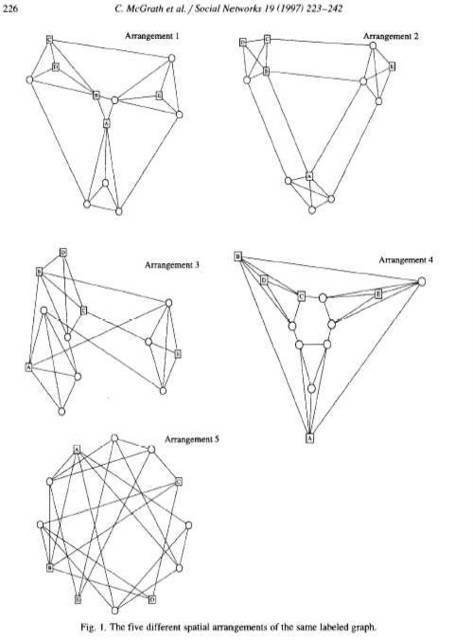 For those of you who enjoyed my post on Maximizing Influence Through a Social Network, or anyone with an algorithmic bent to networking, I recommend reading Steve Borgatti's paper on the Key Player Problem. (1) Who are the handful of people I should quarantine first to stop a contagious epidemic? (2) Who are the handful of people I should talk to first to influence a community? He tackles the technical algorithmic issues head-on, with an eye towards specific issues important to social network practitioners (as opposed to graph theorists). In "Maximizing Influence", Kempe, Kleinberg, and Tardos look at problem #2 above and set it within a more abstract framework than Borgatti's treatment, in order to address computational complexity and approximation bounds. For anyone looking to turbo-charge his next viral marketing campaign, I recommend Borgatti's paper for a good summary of a useful algorithm. Community building is challenging even with my next door neighbors. A whole new world of difficulty complicates the process when potential community members come from different cultures. Last week's issue of The Economist has an amusing article about bridging cultural gaps across European Union committee meetings. A number of diplomats have put their struggles to paper in the form of phrase translation handbooks. Never intended for publication, these unofficial handbooks are as much a forum for venting frustration as a guide to translation. But a trusty correspondent at The Economist got his hands on them and shared a few choice phrases. What British Diplomat Says == > What the speaker really means. "I hear what you say." ==> "I disagree and do not want to discuss any further." "With greatest respect" ==> "I think you are wrong, or a fool." "By the way/incidentally" ==> "The primary purpose of our discussion is..."
"I'll bear it in mind" ==> "I'll do nothing about it." "Correct me if I'm wrong." ==> "I'm right. Don't contradict me." Literal translation of French ==> What the speaker really means. "I will be clear" ==> "I will be rude"
"We need European visibility" ==> "The EU must indulge in some pointless, annoying, and, with luck, damaging international grandstanding." "We must find a pragmatic solution" ==> "Warning: I am about to propose a highly complex, theoretical, legalistic, and unworkable way forward." Fall is my favorite season. The air is crisp, Walden Pond is still warm enough for swimming, and all kinds of exciting new projects get started. "Over the past several years, networks have been growing in Boston, across the country and around the world. Many of which may see themselves as a laboratory for its members, a place to inquire about the nature of networks in organizations and in the world. People in these networks ask questions such as: How do you create and sustain a network? How is a network different or similar to community? What are the properties of different types of network? Can networks that are leaderless really produce value? What does networked leadership mean, anyhow? How do you build trust in networks? How do you make the business case for operating some aspect of your business using networks? 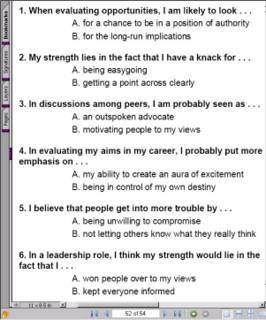 "The action/research theme for the Fall 2004 New England KM Cluster examines these questions from the viewpoints of worth and work. What is a network worth? What work is required to make it successful?" Leading in a Connected World, organized by Rob Cross, to be held at UVA, Charlottesville, VA, November 3-5, 2004. New York City KM Cluster conference, where Valdis Krebs will teach SNA and InFlow software, October 19, 2004. I've been learning a lot of UCINET lately, thanks to Steve Borgatti's excellent notes from Essex SNA Summer School 2004. One paper you'll find in this syllabus makes a vivid point about the power of social network analysis (SNA). Many of us SNA fans are especially fond of its ability to put complicated organizational situations into a single compelling image. Spend just a few minutes playing with UCINET, though, and you'll start to appreciate the amount of work that goes into the network images you find published. What looks straightforward and natural on screen (or paper) is actually the result of many complicated tradeoffs. So yes, there are many powerful techniques that automatically draw networks on your screen so that all kinds of patterns practically jump out at you. But... there is no one best way that shows "what's really going on." This can put a lot of power in the hands of whoever draws the network. Who are the central actors? Who are the key bridges? How many groups are there? Each of these pictures can easily lead you to a different answer, even though they are all pictures of the same network. As a colleague was reminding me the other day, "Social networks are good at suggesting what questions to ask, but dangerous to draw too many conclusions from."